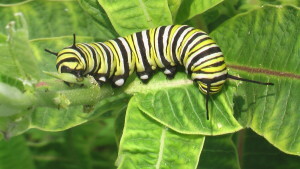 CEDAR RAPIDS – Travelers along Interstate 35 would share the plus-1,500-mile route with some migrating friends if plans for a “Monarch Highway” take flight. 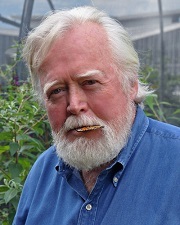 Chip Taylor, founder and director of Monarch Watch and professor of ecology and evolutionary biology at the University of Kansas, described the proposal during his presentation Jan. 20 at Kirkwood Community College in Cedar Rapids. The Monarch Highway would stretch from Texas to Minnesota, with demonstration gardens planted along the north-south route, which also serves as the main corridor for migrating monarch butterflies. 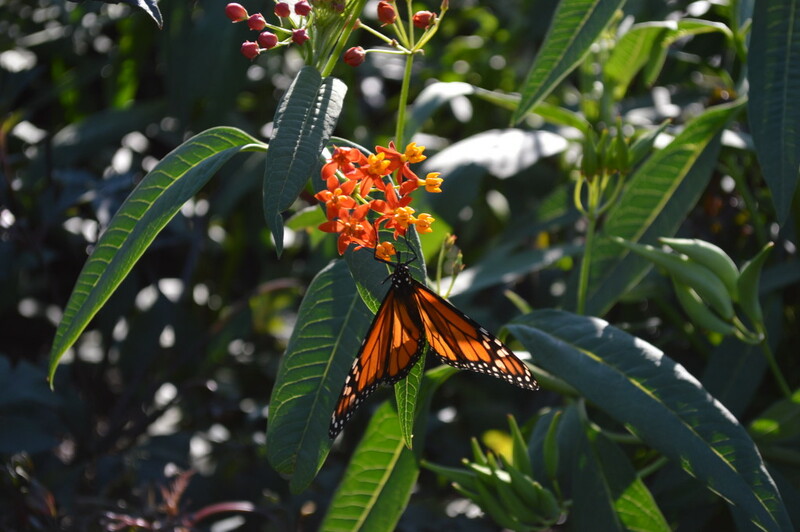 Plants that support butterflies and other wildlife, particularly milkweed and nectar plants for monarchs, would be planted along the route as “rest stops” for the migrating butterflies on their journey to and from Mexico. “If you build it, they will come,” Taylor told the crowd of more than 200 people at the Kirkwood presentation, hosted by the Linn County Master Gardeners. The proposal was included under the Obama administration’s National Strategy to Promote the Health of Honey Bees and Other Pollinators. Taylor noted that Iowans have been particularly supportive of efforts to increase the habitat for monarchs, whose population has been decreasing due to the effects of GMOs, herbicides, insecticides and other factors. In Iowa, Interstate 35 runs from near Lamoni in the south, through Des Moines in central Iowa and exits near Hanlontown along the Minnesota border. Taylor estimated the cost of creating the demonstration gardens at $2,000 to $3,600 per acre, which would include educational signs that note the significance of the route. 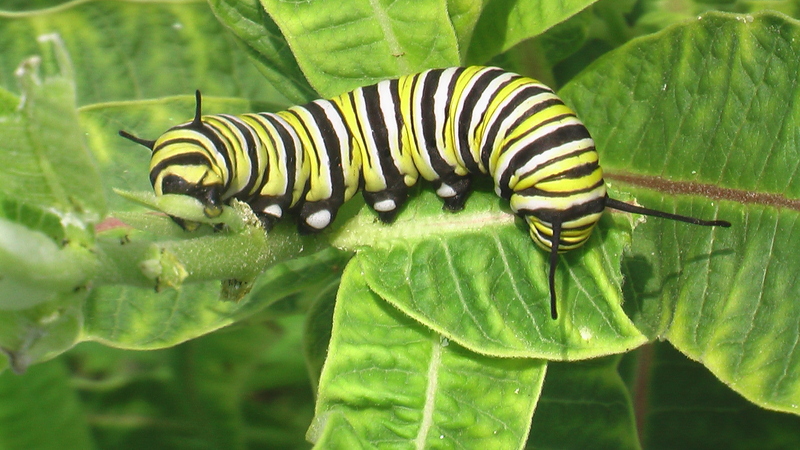 Milkweed, now nearly absent from Iowa corn and soybean fields, provides the sole food source for monarch caterpillars. Monarchs that mate live just a few weeks in the summer, with the main goal of reproduction, Taylor noted, but those that migrate can live eight months, making the trip to wintering sites in Mexico and then back north in the spring. Both milkweed and nectar plants, such as zinnias and asters, are important for those butterflies. 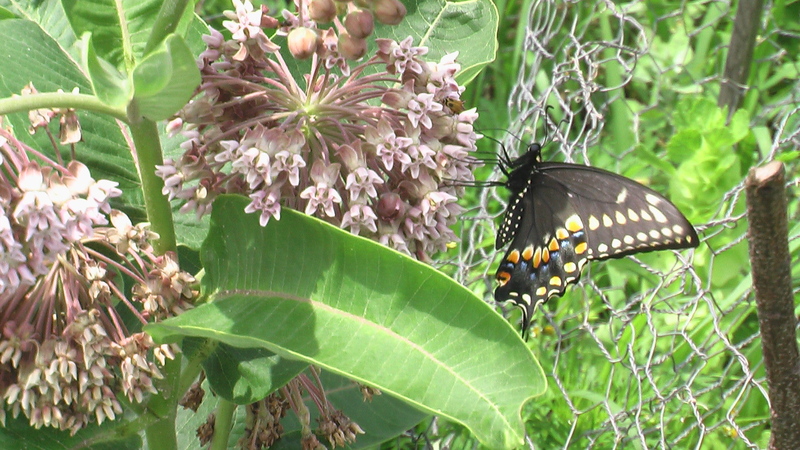 Many of those attending the event grow milkweed, or intend to. Taylor noted that homeowners who purchase the plants should be wary of buying them from “big box stores” that might be selling milkweed treated with neonicotinoids, which are toxic to monarchs and other insects. For those who would like to grow their own milkweed, he advised placing the seeds in a plastic bag along with moistened sterile vermiculite and refrigerating it for several weeks to stratify the seeds before planting. The Kirkwood event kicked off the Linn County Master Gardeners’ “Planting for Pollinators” Year. Learn more about pollinators at the Spring Library Series and Winter Gardening Fair.